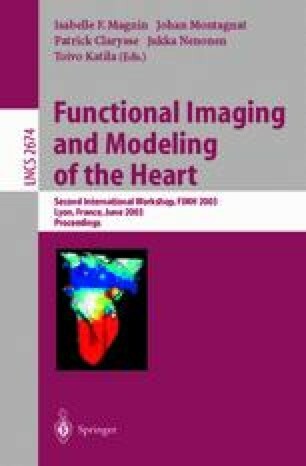 We model the process of imaging soft tissues with a 3D ultrasound probe using a linear convolution model, and obtain analytical expressions of both the ultrasound image and its spectrum. We use this model to study the ultrasound decorrelation caused by tissue motion both in the spatial domain and spectral domain. Finally, we propose a spectral-feature-based algorithm to analyze tissue motion. The comparison with intensity-based algorithm shows promising results.